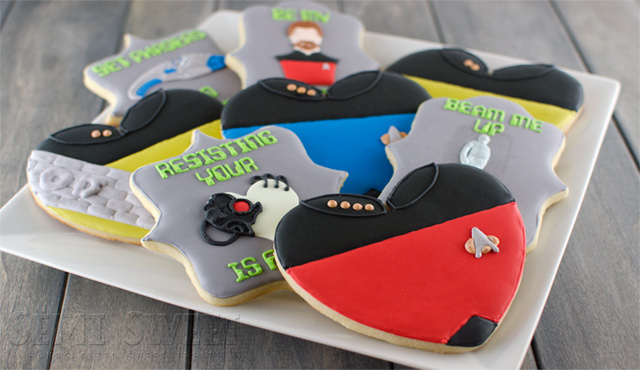 And what better way to show your love than Star Trek cookies? With my favorite cast, no less. Mike at Semi Sweet has full instructions for these amazing creations on his blog. 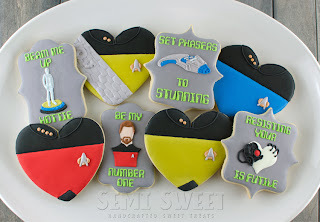 Aren't they fantastic?